I received a copy of this book from Netgalley in return for my honest review. I was drawn to this book by the promise of something a little bit magical. Both the title and cover hint at this, but somehow the magic doesn’t evolve quite as I’d hoped. The story is one of loss, grief, belief, understanding, promises made and broken, and eventually, hope. Izzy and Claire are mourning the recent loss of their husband and father Connor, and contemplating their first Christmas without him. A chance encounter with a ‘tramp’ while in town one day reveals that this is Izzy’s lost love Robin, a man who she loved long before Connor, but who, through tragic circumstances disappeared from her life almost as quickly as he appeared in it. Izzy is determined that this isn’t going to be the case this time and makes a concerted effort to track Robin down. Quite bizarrely, Izzy almost immediately brings Robin to live with her and her teenage daughter! And it is through shared reminiscences that they discover that their memories of their past, their brief relationship and their separation, are completely different. They backtrack, and with the help of Stephen (Robin’s benefactor Jennifer’s son) and his psychotherapist partner Gareth, they attempt to get to the bottom of what really happened. 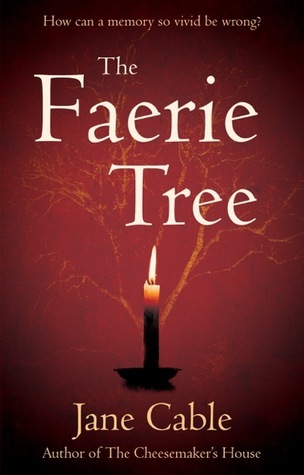 The steadfast fixture in both their minds and indeed in Robin’s life since his original departure, is the Faerie tree of the title. A magical place where both children and adults come to give offerings and their most heartfelt wishes to the faeries in the hope that they will be granted. In his absence, Robin lived with mother-figure Jennifer, who saw herself as something of a ‘keeper of the tree’. She taught Robin everything she knew about nature, respect for the earth and all that it provides. It’s referred to as Paganism, but it’s never explained fully in the book. Although this was a pleasant, easy read, I found that it lacked depth. I wanted more magic, and to know more about Paganism and what it truly means to those who practise it. It’s mentioned far too briefly when it should be a central element of the story. I wanted to gain more insight into Izzy and whether she was truly racked with grief or whether she did actually suffer from some sort of mental illness. For that fact, I felt the same about Robin. As lovely as he is now, why did he just leave and never return, never even contacting a soul from his past life, even though he landed up living quite close by. There just wasn’t enough clarity on anything to make this the fully-rounded, satisfying read that I wanted it to be.